Can't You Just Stop Taking Xanax? What Can an Alprazolam Treatment Facility Do? Without proper treatment, people addicted to alprazolam may experience problems with health, school, employment, and/or relationships. Who Answers? to speak to a treatment support representative about inpatient rehab programs for alprazolam (Xanax). Unfortunately, the drug is abused by some because of its ability to produce a pleasurable sense of euphoria, while helping to relieve stress and anxiety. The drug can also enhance or modify the effects of other abused substances. For example, its effects may be sought to promote sleep after a night of stimulant abuse. Since alprazolam slows down the body, it exaggerates the effects of other depressants such as marijuana, alcohol, and opiates such as heroin. People who regularly abuse alprazolam may begin to experience less of an effect and need to keep increasing their dose to achieve the same results as before. This is a sign that the body is developing a tolerance to the substance. For some, physical dependence develops slowly, and users may not realize that it is happening. When users become dependent, they may begin to more heavily rely on the drug to function and to avoid withdrawal symptoms. While addicted to alprazolam, abusers may resort to stealing from medicine cabinets, lying to doctors to get pills, or buying illegal prescriptions off the street. Continuing to use alprazolam even if health, work, or family are harmed. Denial or hostility when confronted about drug abuse. Lack of control over drug abuse. Making excuses to use alprazolam. Missing work or school, or a decrease in performance. No longer taking part in activities because of drug abuse. Secretive behavior to hide drug use. If you or someone you know shows signs of addiction or dependence, call 1-888-319-2606 Who Answers? to find an alprazolam rehab and recovery center. A person who abuses alprazolam runs the risk of an eventual overdose. An overdose is more likely if the substance is mixed with other depressants because the combined effects can profoundly slow breathing and heart rate. Typical signs of overdose include extreme drowsiness, confusion, slowed reflexes, impaired coordination, slowed or stopped breathing, and loss of consciousness. Alprazolam can even induce coma or death, especially when taken with another medication or with alcohol. If you notice signs of an alprazolam overdose, call 911 immediately. Can’t You Just Stop Taking Xanax? Abruptly stopping the use of a benzodiazepine, especially if the person is physically dependent, can lead to serious side effects and withdrawal symptoms. How much the person used before quitting. How long the person used. In some cases, Xanax withdrawal can be quite dangerous. As mentioned above, the person may experience seizures or have other medical or mental health complications. Medically supervised detox, which is offered in many residential recovery centers, is highly recommended for alprazolam withdrawal. A physician can gradually reduce the dose over a period of time, which makes withdrawal symptoms much more manageable and also reduces cravings for the drug. Who Answers? to talk to a recovery support advisor about which alprazolam treatment program is right for you or your loved one. Inpatient or residential recovery centers are live-in programs. The person receiving treatment remains at the facility for the duration of his or her care. Most programs last from 28 days to 90 days, but a person may remain in treatment for longer depending on the circumstances. Standard/basic: These programs offer basic services for recovery including detox, individual and group therapy, addiction education, and aftercare arrangement. Many programs also offer 12-step meetings. Most participants share rooms, and food is served in a cafeteria-style setting. These programs may also offer other activities such as movies and outdoor recreation. Luxury: Luxury or high-end programs offer standard inpatient services with added features such as chef-prepared meals, private rooms, spa treatments, massage therapy, and swimming. They are usually located in desirable locations or beautiful surroundings and tend to cost more than standard programs. Executive or CEO: Executive programs are very similar to luxury programs, but they offer amenities tailored to busy professionals, such as meeting rooms, Internet service, and workspaces. Outpatient alprazolam recovery centers do not require you to stay at the facility. You visit a treatment center on certain days of the week for a few hours each time. Outpatient can be used as a primary form of treatment or as a “step down” level of care after you complete an inpatient program. You do not have any serious medical conditions. You are not struggling with any mental health problems. You are not abusing other drugs. You have a solid support network of friends and family. Location. Do you want to travel for treatment and get away from triggers in your current environment? Or would you rather stay near home so loved ones can be involved in your care? Cost. How much does the program cost? How much can you afford? What will your insurance cover? Visitation policy. Does the program allow friends and family to visit? How often? Some programs will not allow visitors at the beginning of treatment. Treatment philosophy. Different programs use different approaches, such as 12-step, evidence-based, faith-based, or a mix. Make sure the approach is something you’re comfortable with. Staff qualifications. Does the program have a staff of psychologists, therapists, and physicians who are certified and have experience treating addiction? See if the staff have experience treating addiction to benzodiazepines such as alprazolam. Accreditation. Accreditation means the program has adhered to a certain standard of care. Common accreditations to look for include The Joint Commission, the Commission on Accreditation of Rehabilitation Facilities (CARF), or the Council on Accreditation (COA). You can finance treatment if you don’t have insurance. Inpatient alprazolam programs will cost more than outpatient programs, and luxury and executive programs will cost more than standard inpatient programs. Whether you receive care for other medical or mental health problems. Insurance. Many programs take insurance, but you may still have out-of-pocket costs. To learn more about what your insurance will cover, call 1-888-319-2606 Who Answers? . Payment plans or sliding scale. Programs may adjust the fees or let you pay off the cost of care over time, depending on what you can afford. Scholarships. Some programs offer scholarships that cover all or part of the cost of recovery. Credit cards. Using credit cards to cover all or part of the cost of care is another option. Just make sure you can pay off the balance in a reasonable amount of time and get a favorable interest rate. Borrowing from savings. You can also borrow from your savings account or a 401(k). Taking out a loan. If you have good credit and can secure a good interest rate, loans are yet another option for paying for treatment. Crowdfunding. You can also consider using GoFundMe, IndieGoGo,and Crowdrise to raise money to pay for care. If you don’t have insurance, you may be able to get referrals to local low-cost programs through the Substance Abuse and Mental Health Services Administration’s (SAMHSA) helpline at 1-800-662-HELP (4357). Alprazolam recovery programs help the person stop the addictive cycle and lead a productive life. Intake. 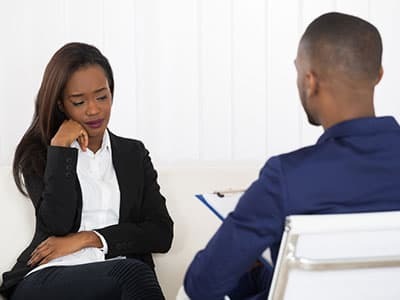 Professionals assess the person’s unique circumstances and make note of any associated psychiatric or medical illnesses. They discuss not only the alprazolam abuse but also the use or abuse of other substances, such as legal substances, prescription medications, illegal drugs, and alcohol. Detoxification. Detox helps to safely remove any remaining alprazolam from the user’s system. The physician gradually brings the alprazolam dosage down while minimizing the impact of withdrawal symptoms. Physical withdrawal symptoms will subside within a few days, but psychological withdrawal symptoms, such as cravings, can last for months or even years after the last use. Therapy. Through individual therapy and group therapy, users learn why they became dependent on the drug and ways in which substance abuse has negatively impacted their lives. They will identify and understand the role of addiction in their life. Therapy sessions often examine the physical, social, and emotional triggers that prompt drug use and ways to avoid or deal with them. During this time, mental health issues such as depression and anxiety will be addressed and processed to reduce the need for self-medication. Aftercare. Recovery is an ongoing process, not a single event. Recovering alprazolam users often need to attend support groups, 12-step meetings, and therapy sessions to minimize the odds of relapse. This will be helpful during and after their time in an alprazolam treatment facility. Having supportive family and friends can make the transition even more successful. Recovery is possible. If you or someone you know is suffering from an addiction to alprazolam, confidential help is available today. Call 1-888-319-2606 Who Answers? and a trained representative can offer support and advice on the best alprazolam recovery program for your needs.
. Petursson, H. (1994). The benzodiazepine withdrawal syndrome. Addiction, 89(11), 1455-1459.